As South Africans, we often find ourselves in the dark due to the volatile nature and instability of our Electricity Grid and the dire situation our power grid finds itself in. All of us understand the need for alternative energy sources, a fact that has become more apparent with the frequent power failures and load-shedding that many South Africans face. Many South Africans are turning towards renewable ways to power their farms, homes, buildings and offices. Our energy management services allow us to measure and report on how you are using electricity and to design alternative energy systems to make improvements on your consumption, and minimize costs. Proven as the most efficient solution to saving electricity, we use high-pressure, indirect thermosyphon or pumped systems, with flat plate collectors we manufacture locally. 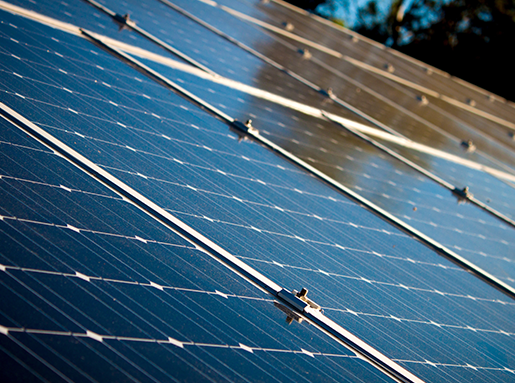 We specialize in the design and installation of Photovoltaic (PV) Power Systems: off-grid, grid-tied or hybrid systems. Due to the reducing cost of storage (batteries) and PV panels, energy efficiency implementation and flexible ‘green’ financial models, everyone should consider a ‘self- sufficient’ power system for their residential, commercial, industrial or agricultural needs. We install and monitor our systems, ensuring that you are never left in the dark. We offer Property Developers solutions to comply with SANS10400 XA-2. These solutions are cost effective and development ‘friendly’ since it requires minimal electrical and plumbing intervention. May it be grid-tied PV solutions with metered load management, or stand-alone Photovoltaic Water Heating (PWH) for each unit, we have the most suitable solution for you. With the need for renewable energy in mind, Adzam Solar has established a proud heritage in the Solar Water Heating (SWH) and Photovoltaic (PV) Solar industries of South Africa. Our Solar Water Heating products are unique due to our unique high-pressure indirect systems, and we exceed the minimum requirements for quality and conformity. Our manufacturing plants are in Tshwane and carries the SABS mark of approval. All of our SWH components have 100% local content (SABS Certified), exceeding the minimum DTI threshold of 70% for Government Tenders. Adzam Solar is a Level 2 BBB-EE company, established in the year 2012. Our products offer excellent value for money and have an expected life of 20 years. Join the Solar Energy movement with Adzam Solar today!